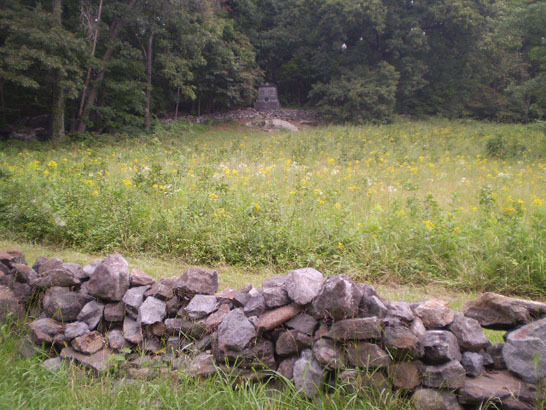 While much has been written about (and rightly so) General Strong Vincent’s Third Brigade and their heroic defense of Little Round Top on July 2, the hard fighting (often hand-to-hand and bayoneting) of the other two brigades of General James Barnes’ First Division of General George Sykes’ Union V Corps goes virtually unnoticed. 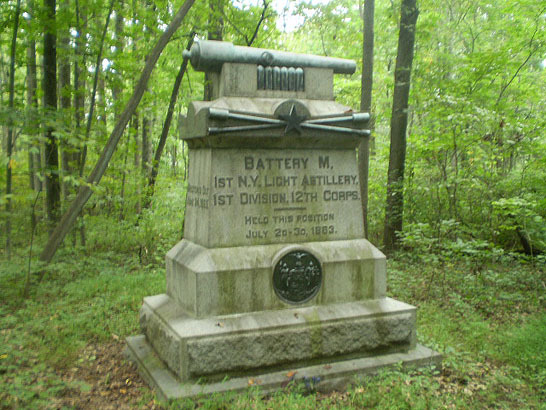 Colonel William S. Tilton’s First Brigade (comprised of the 1st Michigan Infantry Regiment, the 18th Massachusetts Infantry Regiment, the 22nd Massachusetts Infantry Regiment, and the 118th Pennsylvania Infantry Regiment) and Colonel Jacob B. Sweitzer’s Brigade (comprised of the 4th Michigan Infantry Regiment, the 9th Massachusetts Infantry Regiment, the 32nd Massachusetts Infantry Regiment, and the 62nd Pennsylvania Infantry Regiment) were both involved in the hard fighting (Sweitzer’s Brigade alone suffered roughly 46% casualties, including the bayoneting of Colonel Harrison Jeffords of the 4th Michigan Infantry Regiment) for control of the Wheatfield and of the high ground of “the Stony Hill” at the southwest corner of the Wheatfield. 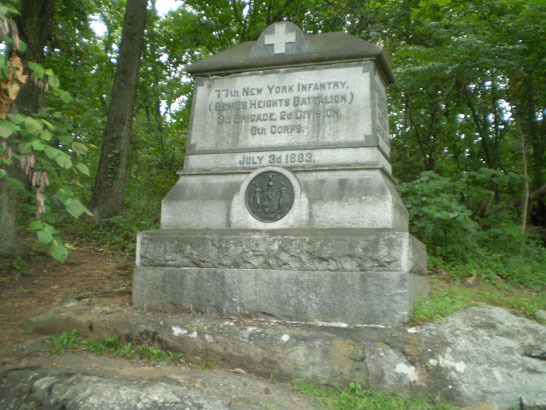 The successful defense of the Union left flank on the late afternoon of July 2 did not end with the famous bayonet charge by the 20th Maine Infantry Regiment on the southern slope of Little Round Top against the troops in the 15th Alabama Infantry Regiment. 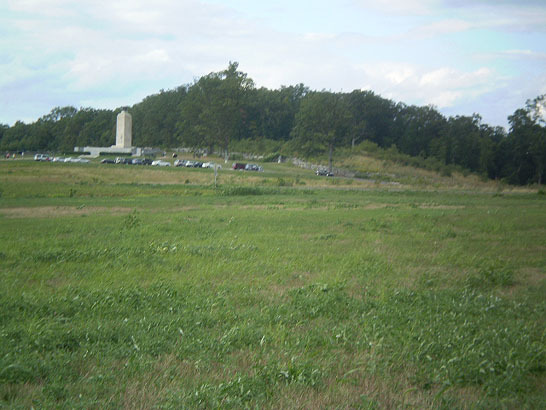 Even as that charge was being made, other Union regiments in General George Sykes’ V Corps (primarily those in Colonel Joseph W. Fisher’s Third Brigade – the 5th, 9th, 10th, 11th and 12th Pennsylvania Reserve Infantry Regiments -- in General Samuel W. Crawford’s Third Division) were being shifted to defend both Little Round Top and also take possession of Big Round Top to prevent that higher and heavily wooded hill from being used by Confederate forces as a concealed staging area to mount further offensive operations on the Union left flank and rear. 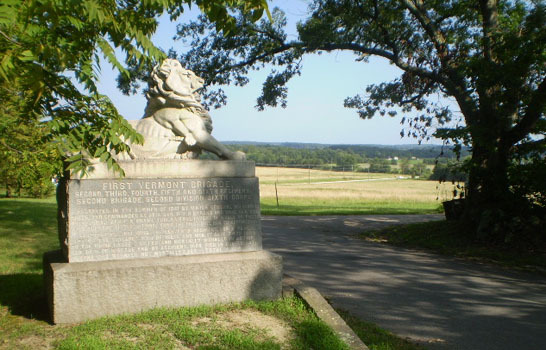 With the arrival on the field that day around 5:00 P.M. of General Albion P. Howe’s Second Division of General John Sedgwick’s VI Corps, General Lewis A. Grant’s Second Brigade (the 1st Vermont Brigade consisting of the 2nd, 3rd, 4th, 5th, and 6th Vermont Infantry Regiments) extended and “refused” the Union line eastward to also cover the Taneytown Road. 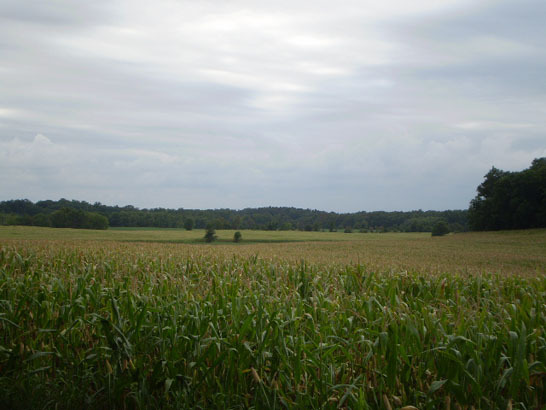 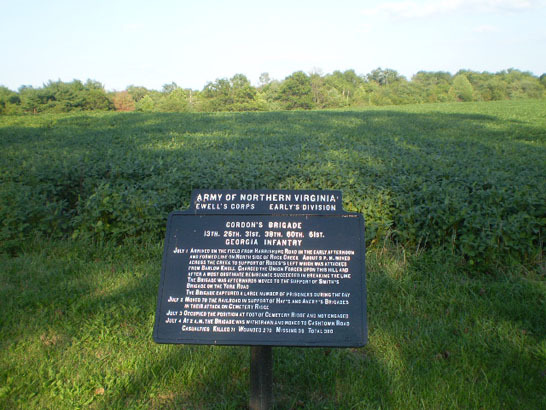 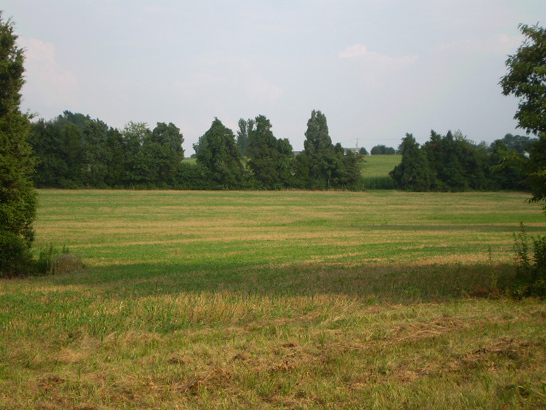 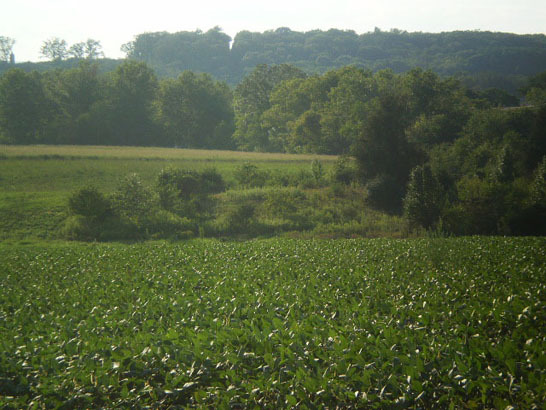 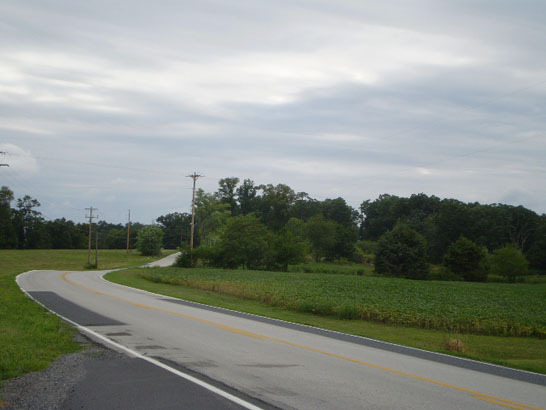 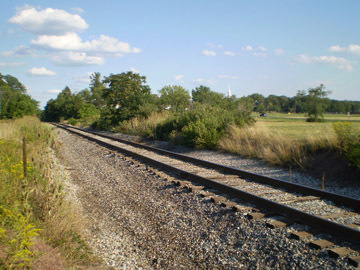 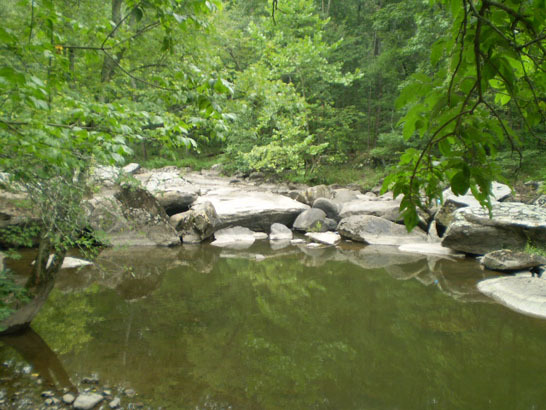 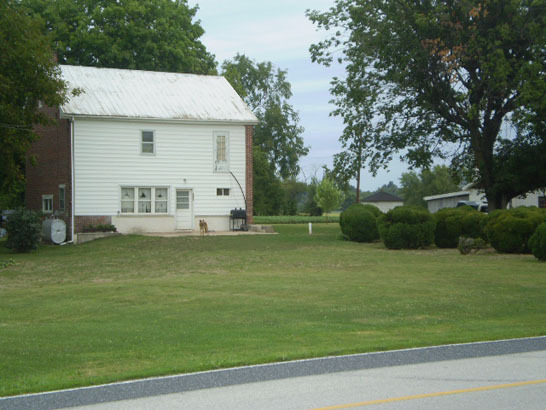 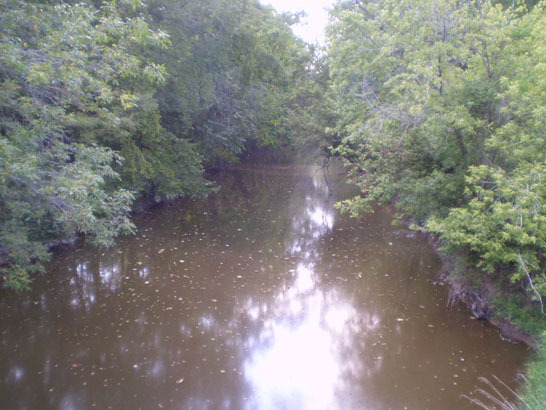 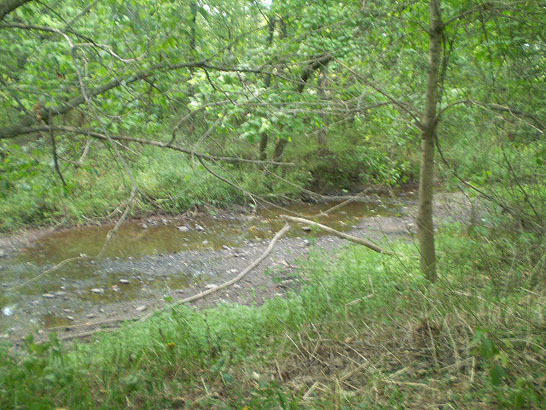 This defensive move became more important when later that night and early morning of July 3 Union cavalry encountered some of General James Longstreet’s I Corps scouts in the Union rear near Horner’s Mill (now called Barlow). 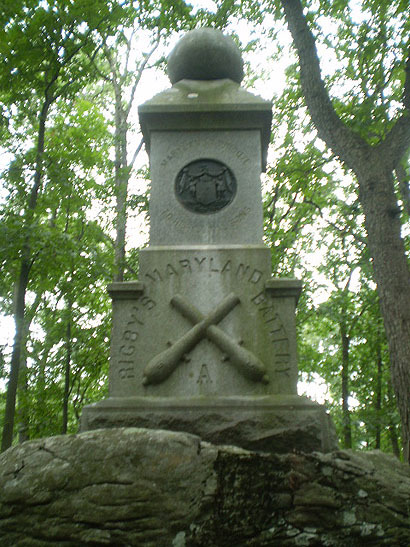 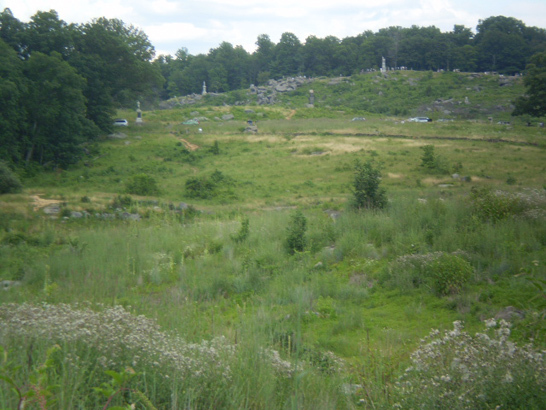 This potential threat of an impending attack was deemed significant enough for other regiments of Union troops on Little Round Top (General David A. Russell’s Third Brigade – the 5th Wisconsin Infantry Regiment, the 6th Maine Infantry Regiment, the 49th Pennsylvania Infantry Regiment, and the 119th Pennsylvania Infantry Regiment -- of General Horatio G. Wright’s First Division of the VI Corps) and two batteries of artillery (Lieutenant Aaron F. Walcott’s Battery C of the Massachusetts Light Artillery and Captain Almont Barnes’ Battery C of the 1st New York Light Artillery) to be shifted at 3:00 A.M. in the morning – a highly unusual practice – to further extend and to bolster the Union position along both sides of the Taneytown Road. 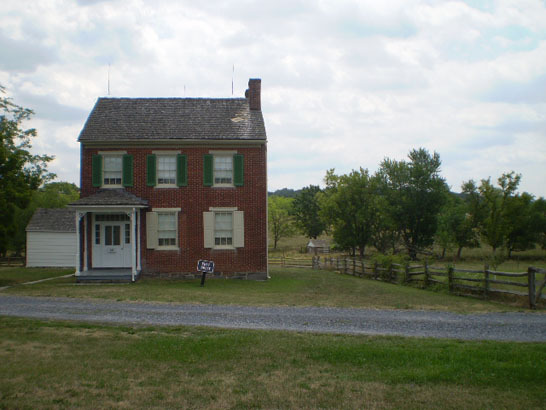 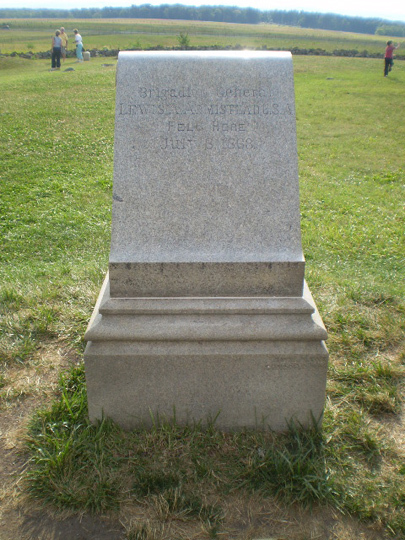 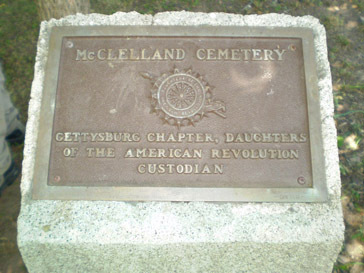 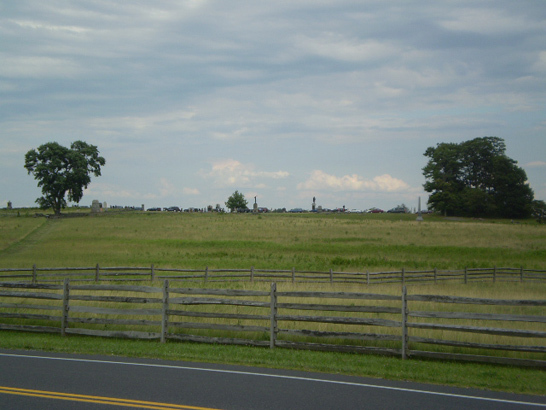 One of the biggest controversies of the Battle of Gettysburg has been, and always will be, the July 2 controversy involving General George Meade and General Daniel Sickles and whether or not Sickles disobeyed or misunderstood Meade’s orders regarding the placement of the III Corps troops in the Union Army’s line of battle. 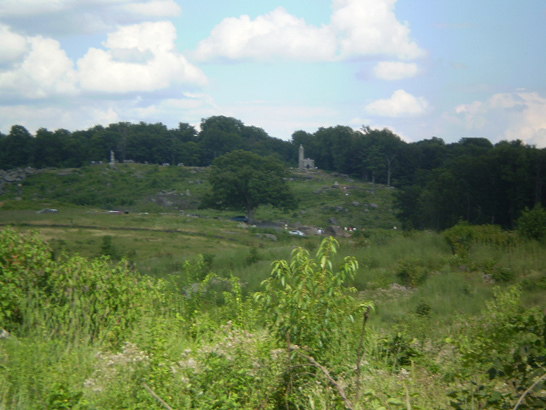 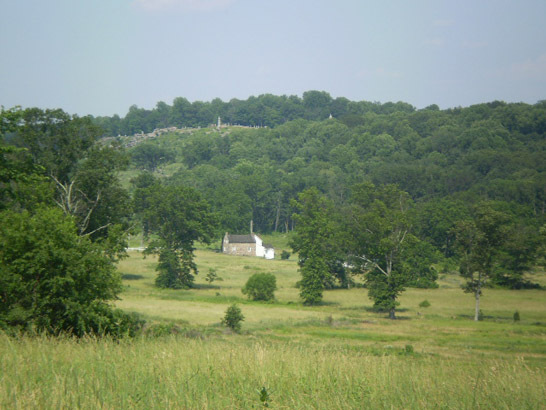 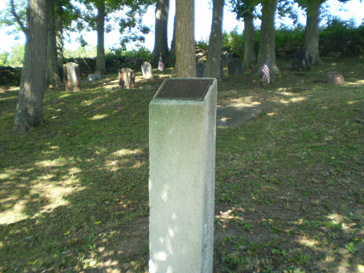 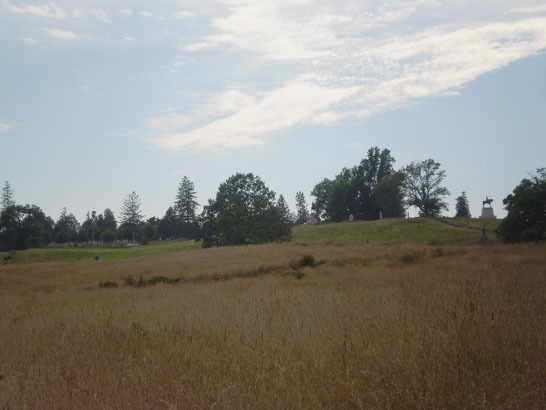 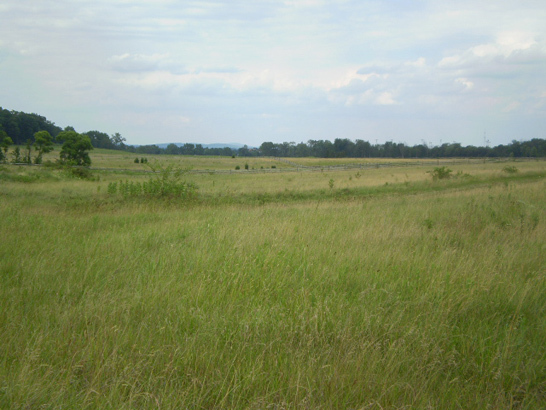 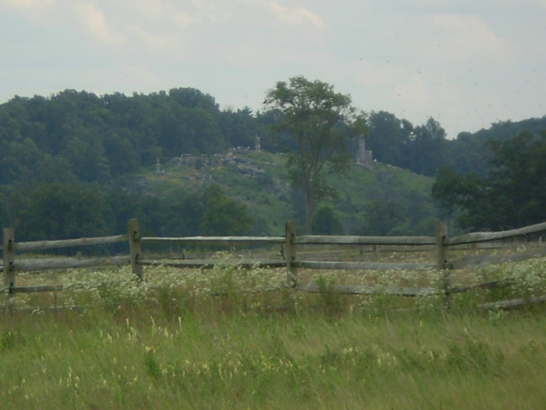 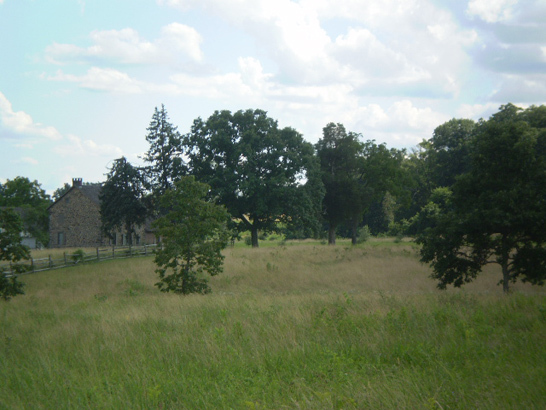 On the evening of July 1, General John Geary’s division of the XII Corps were sent to protect the vulnerable left flank along the southern end of Cemetery Ridge to Little Round Top, but later ordered early on the morning of July 2 to rejoin the rest of the XII Corps on Culp’s Hill. 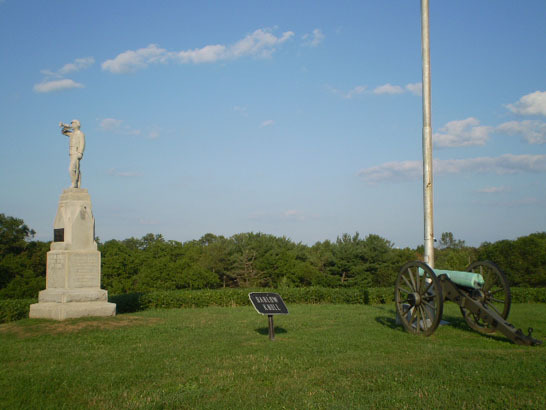 General Sickles was ordered to relieve Geary’s division and take their position on the Union Army’s left flank. 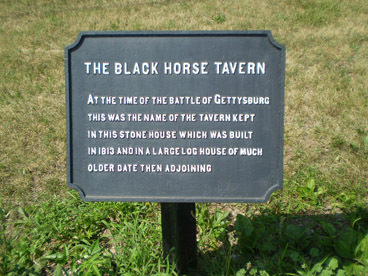 But did Geary’s troops really have a military definition of a “position” even though their reports mention “encamped”, “bivouacked”, “skirmished”, and “picketing”. 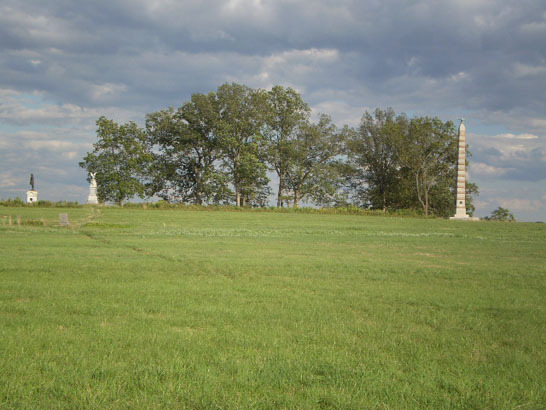 A major focus of the fighting on the afternoon and early evening of July 2 has always been the Confederate “en echelon” assault on the Union left flank. 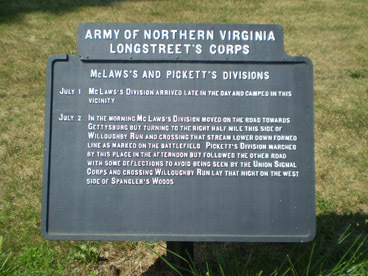 While much attention is given to the fierce fighting done by General James P. Longstreet’s I Corps and two of his three Divisions (under the command of General Lafayette McLaws and General John B. 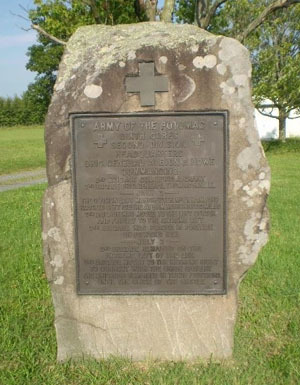 Hood), the hard fighting done by a division of General A.P. 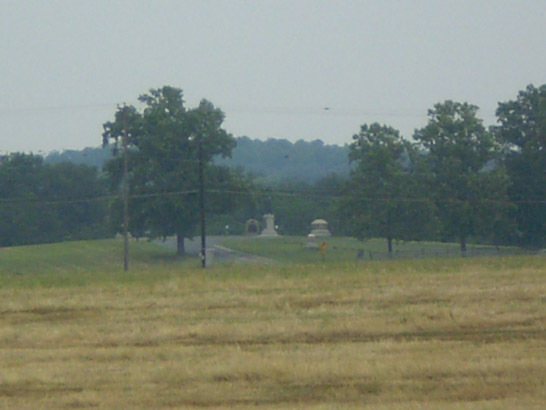 Hill’s III Corps under the command of General Richard H. Anderson was also an important phase of that assault. 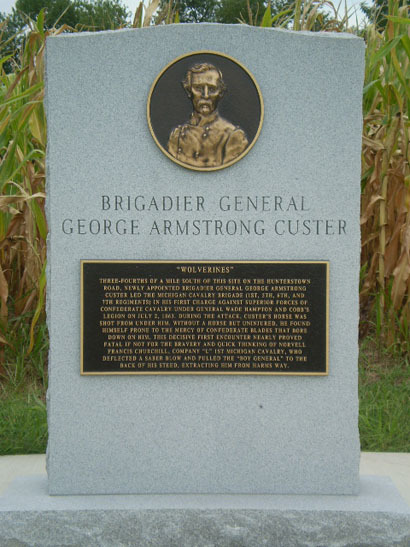 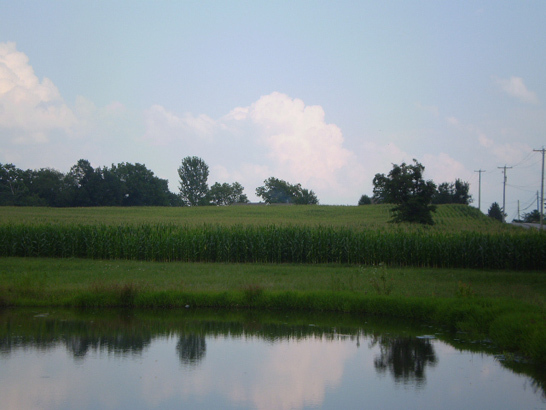 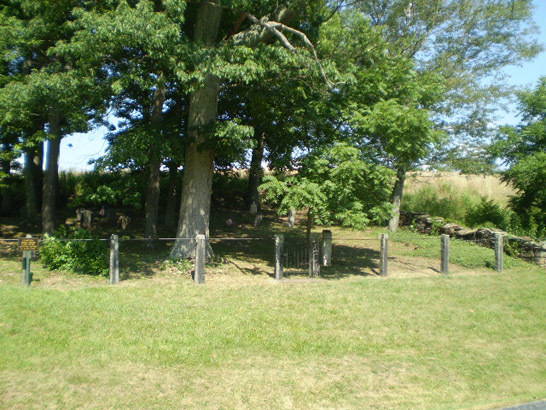 In addition, when attention is given to the four out of five brigades of Anderson’s Division that saw major fighting at Gettysburg (General Ambrose R. Wright’s Brigade, General Cadmus M. Wilcox’s Brigade, General Carnot Posey’s Brigade, and General Edward A. Perry’s Brigade; General William Mahone’s Brigade saw limited action), the focus is often on Wright’s Brigade since it did indeed penetrate the center of the Union lines for a short period of time during that July 2 assault. 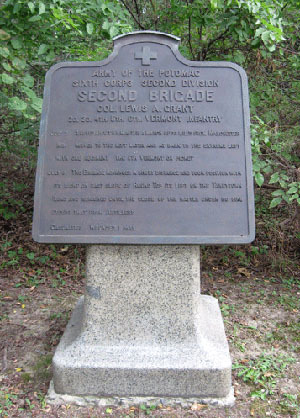 Often overlooked or at the very least overshadowed is Perry’s Brigade on July 2, also known as the Florida Brigade. 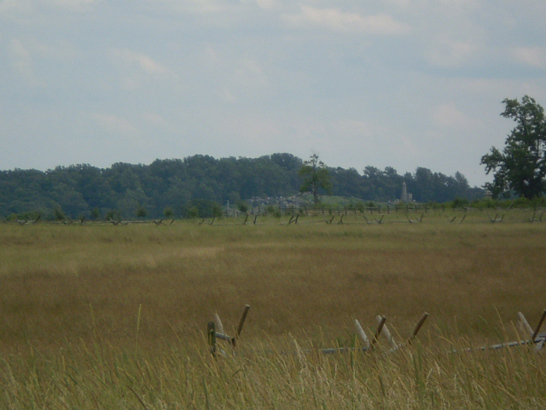 Commanded at Gettysburg by Colonel David Lang (General Perry had contracted typhoid fever during the Battle of Chancellorsville and had not yet returned to active duty), the Florida Brigade (consisting of the 2nd Florida Infantry Regiment, the 5th Florida Infantry Regiment, and the 8th Florida Infantry Regiment) was a veteran brigade but the smallest (approximately 700-740 men) in the Army of Northern Virginia, and yet despite suffering approximately 40% casualties that day, fell only a few hundred yards short of also penetrating the Union lines. 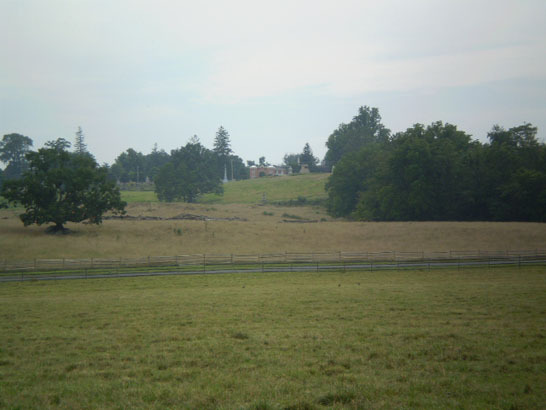 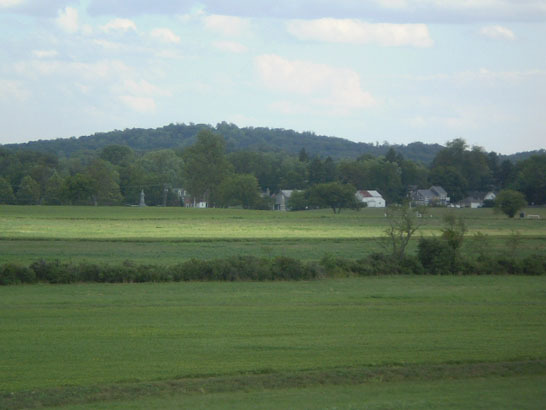 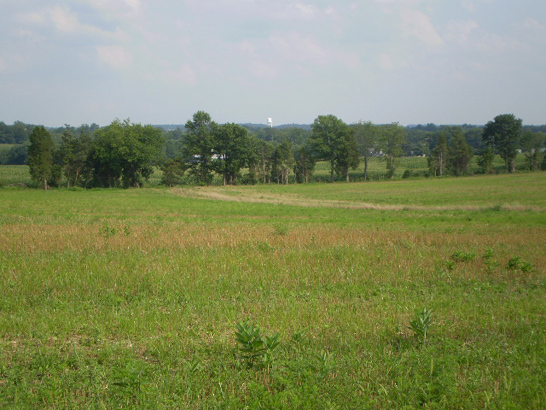 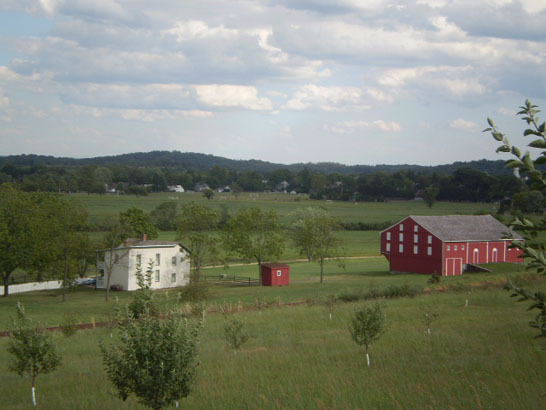 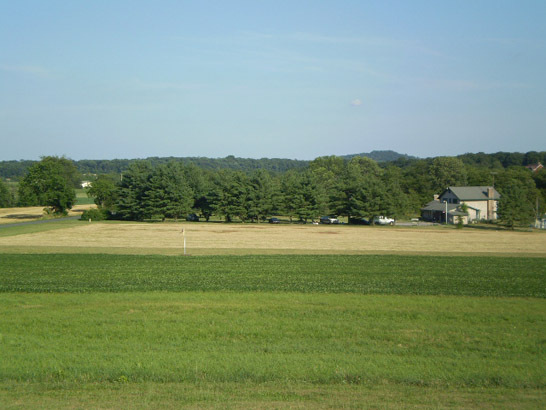 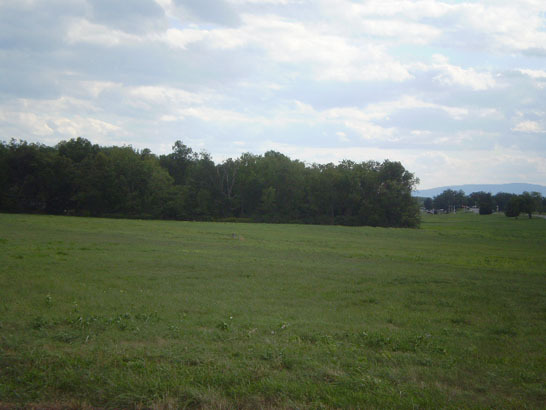 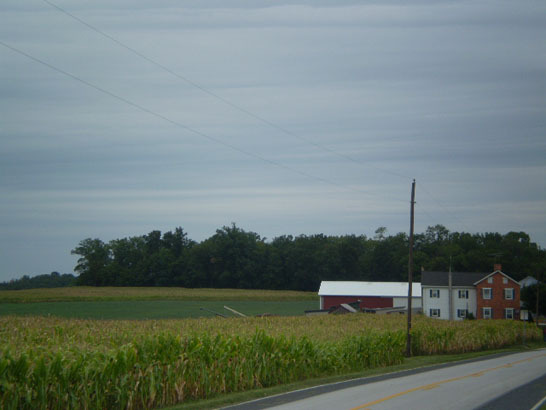 In addition to the fight for Brinkerhoff’s Ridge on July 2 (see further below on this page), there was a lesser known cavalry action on July 2 roughly 4 miles north of Gettysburg at Hunterstown. 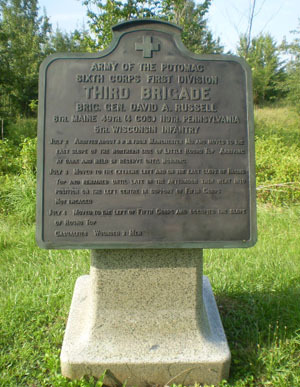 This relatively brief but fierce struggle involved General George A. Custer’s Second Brigade (the 1st Michigan Cavalry Regiment, the 5th Michigan Cavalry Regiment, the 6th Michigan Cavalry Regiment, and the 7th Michigan Cavalry Regiment) of General Judson Kilpatrick’s Third Cavalry Division against portions of General Wade Hampton’s Brigade (Cobb’s Legion, Phillips’ Legion, the 1st North Carolina Cavalry Regiment, and the 2nd South Carolina Cavalry Regiment) of General J.E.B. 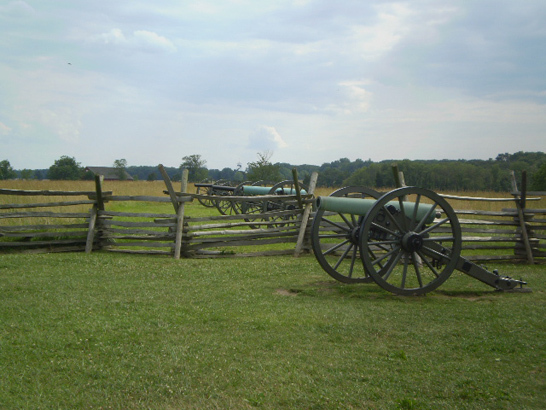 Stuart’s Cavalry Division in the late afternoon and early evening. 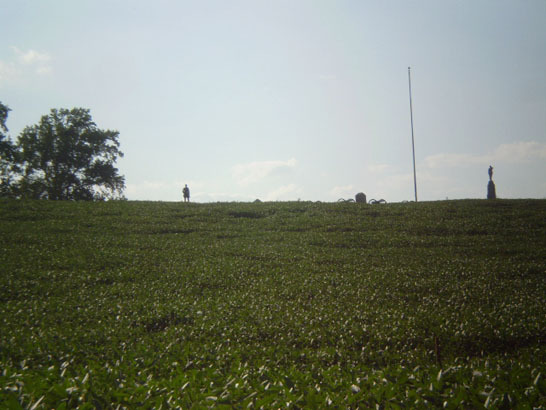 The action delayed J.E.B. 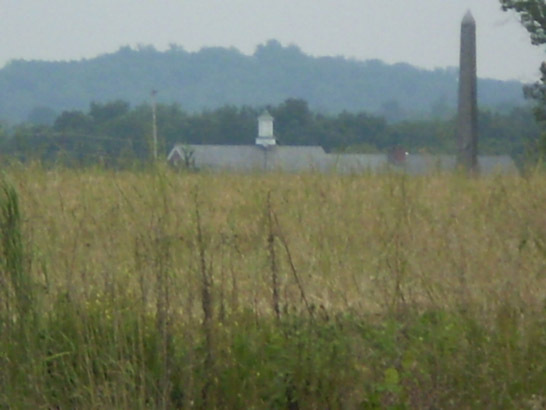 Stuart's cavalry in covering the left flank of the Confederate Army, which was being done by the “Stonewall Brigade” and preventing those infantry troops from supporting the Confederate attack on Culp's Hill until the morning of July 3. 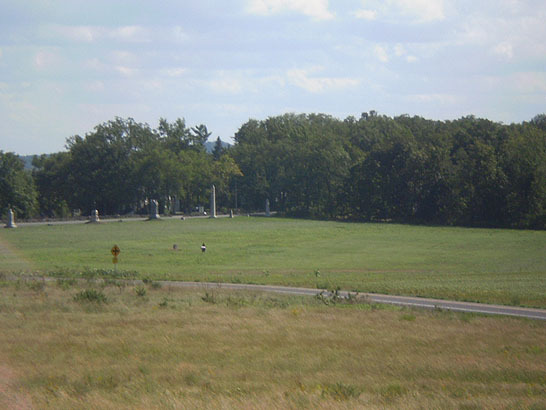 Within a short period of time after General Robert E. Rodes’ Division of General Richard S. Ewell’s Confederate II Corps arrived on the battlefield behind Oak Hill early on the afternoon of July 1, Rodes ordered an attack on the right flank of the Union I Corps positioned on Oak Ridge by sending in General Alfred Iverson’s Brigade (the 5th North Carolina Infantry Regiment, the 12th North Carolina Infantry Regiment, the 20th North Carolina Infantry Regiment, and the 23rd North Carolina Infantry Regiment) and Colonel Edward A. O’Neal’s Brigade (the 3rd Alabama Infantry Regiment, the 5th Alabama Infantry Regiment, the 6th Alabama Infantry Regiment, the 12th Alabama Infantry Regiment, and the 26th Alabama Infantry Regiment) against General Henry Baxter’s Second Brigade of General John C. Robinson’s Second Division and General Lysander Cutler’s Second Brigade of General James S. Wadsworth’s First Division. 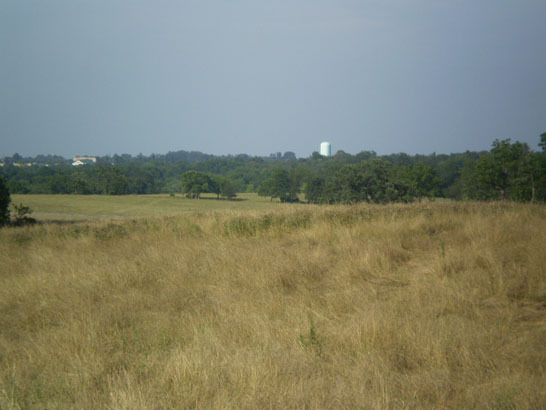 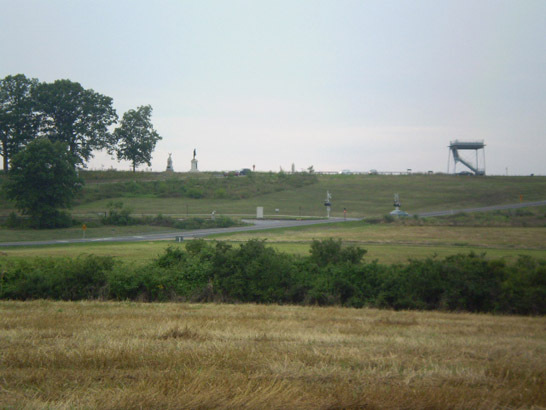 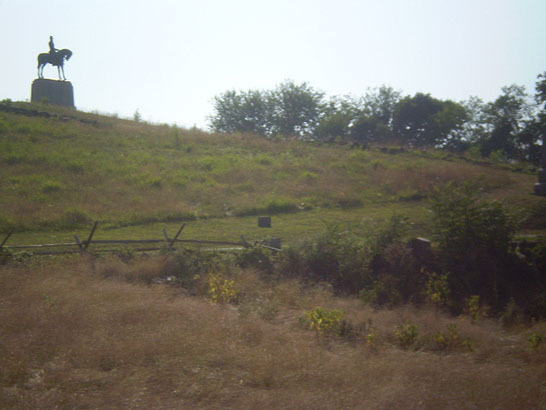 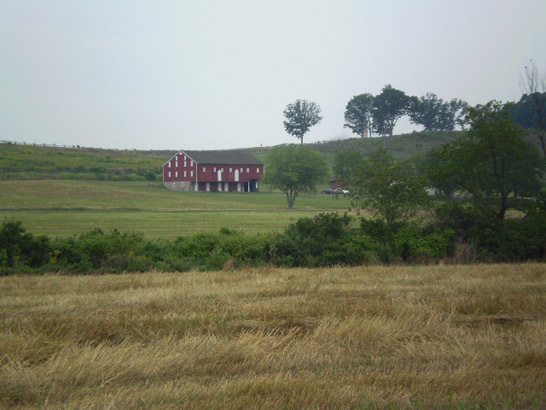 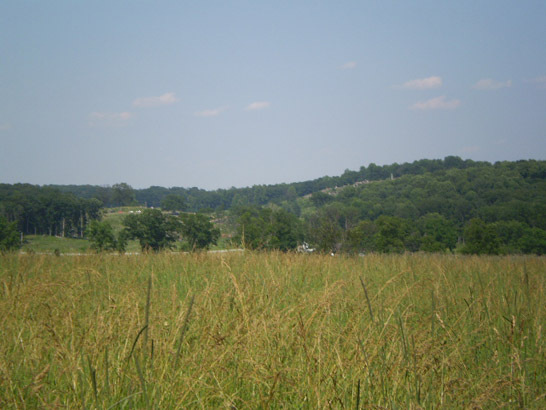 Powers’ Hill, while not as well known or appreciated for the role it played in the Battle of Gettysburg as is the case with other geographic locations such as Cemetery Hill, Culp’s Hill, and Little Round Top, is worth a visit on your own or on a Battle Walk. 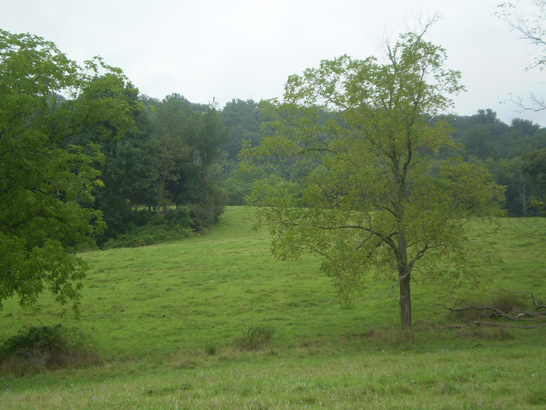 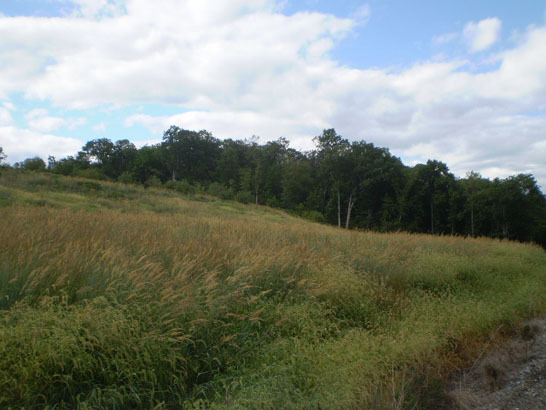 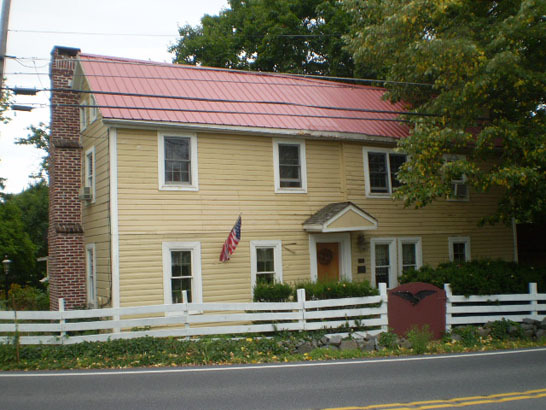 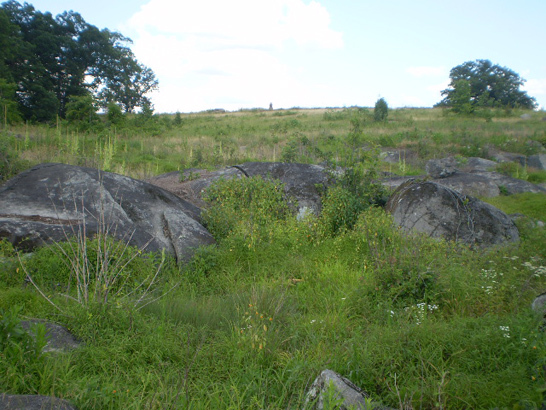 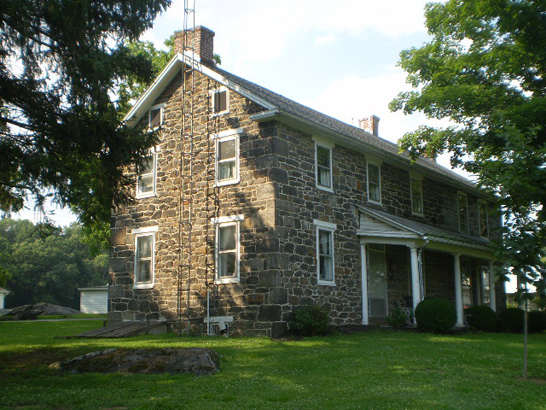 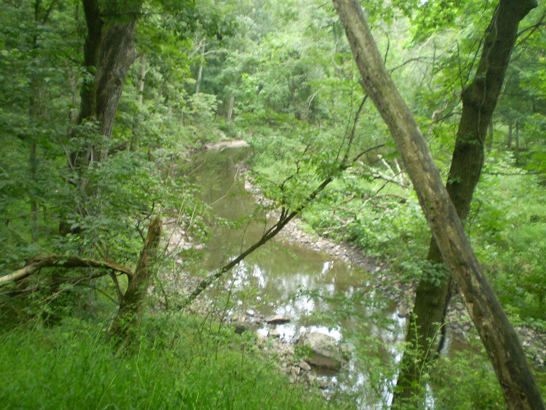 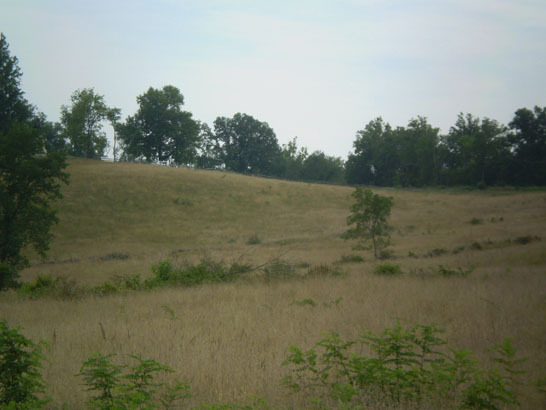 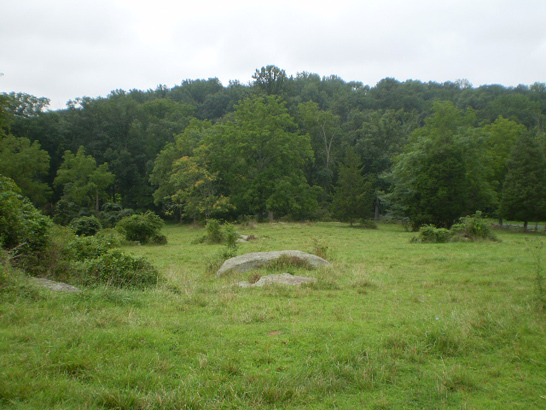 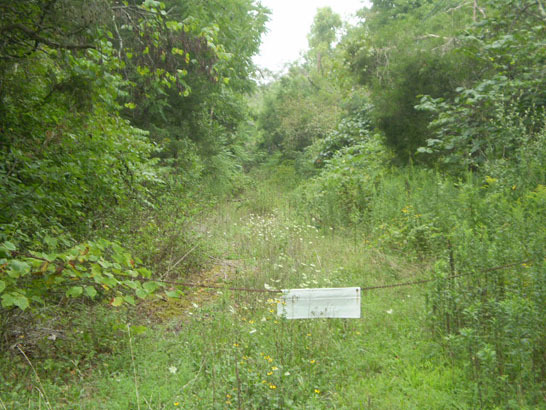 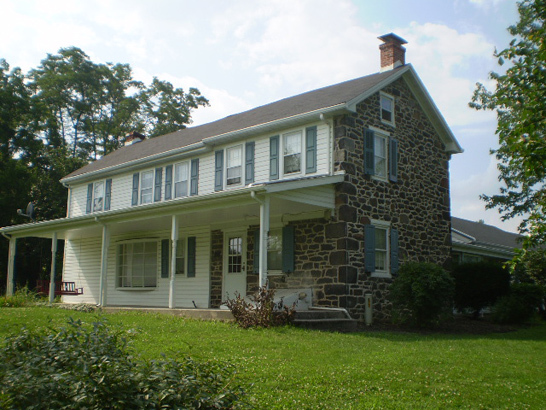 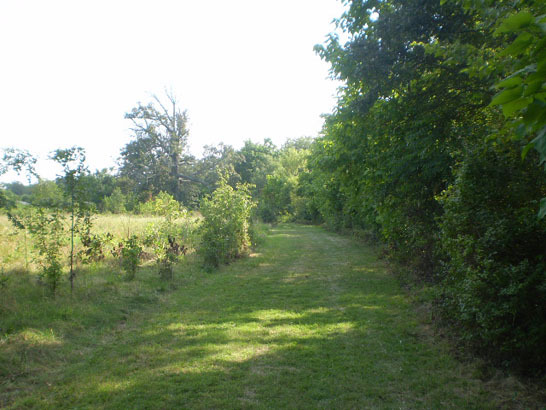 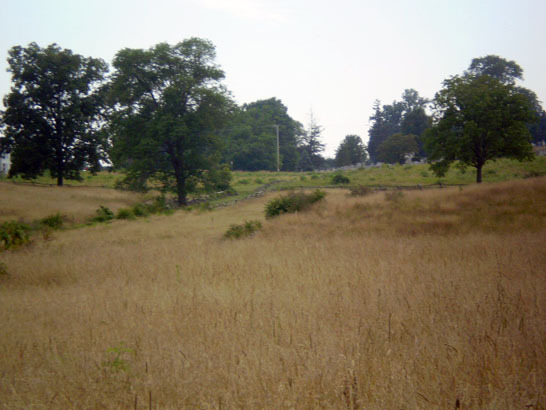 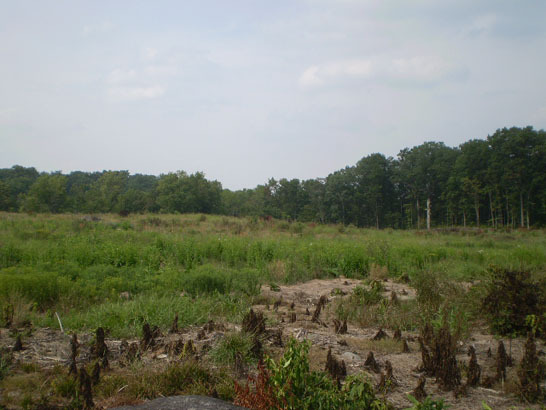 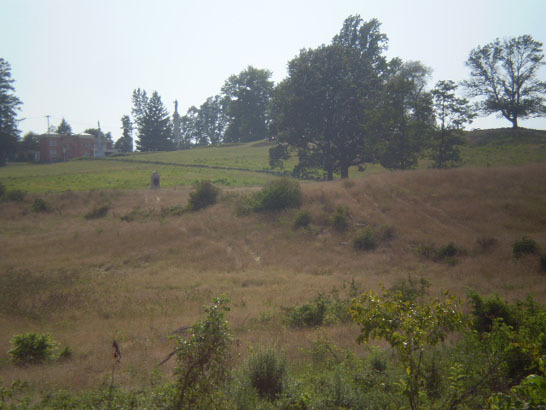 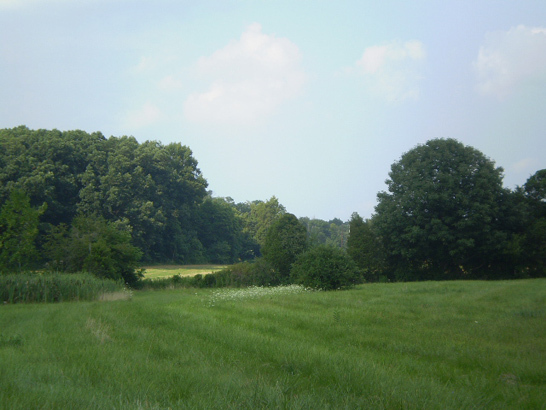 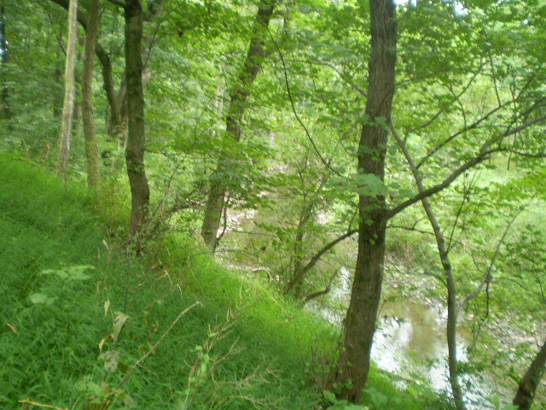 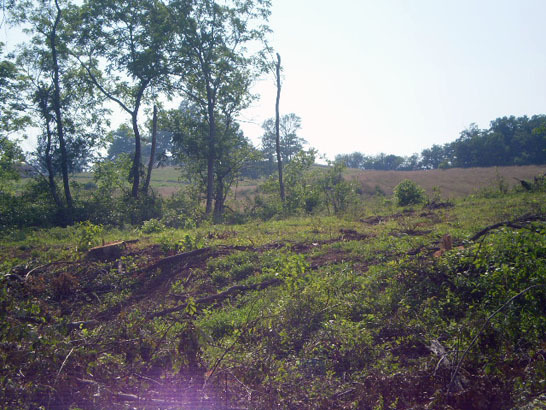 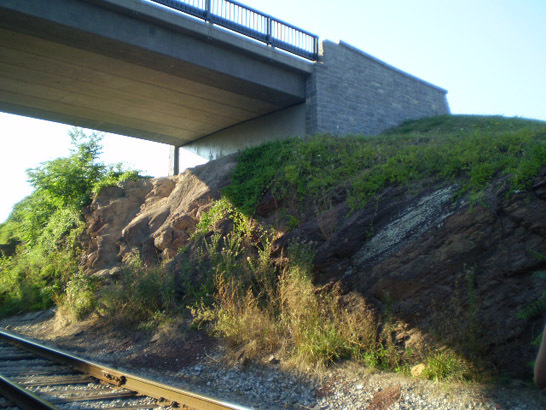 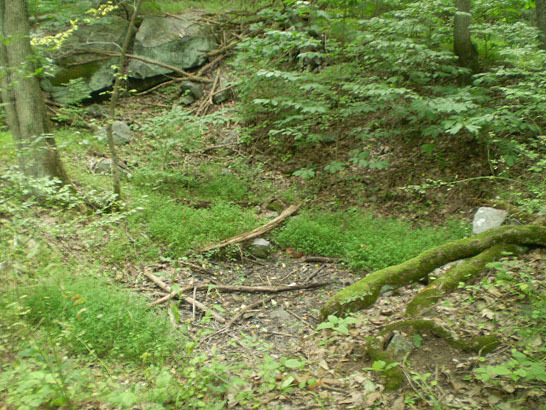 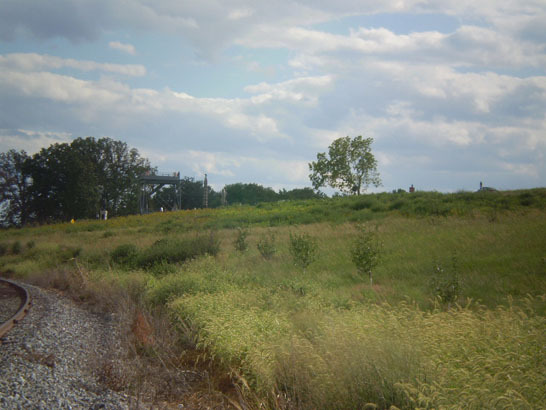 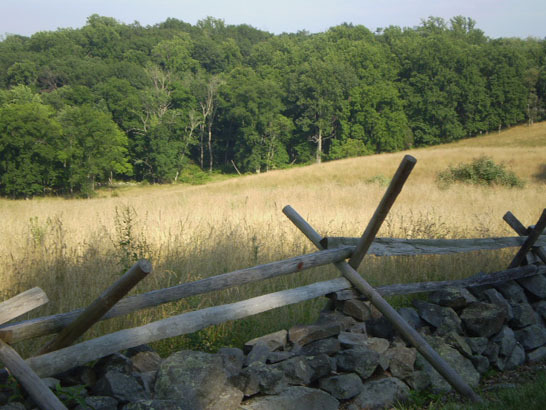 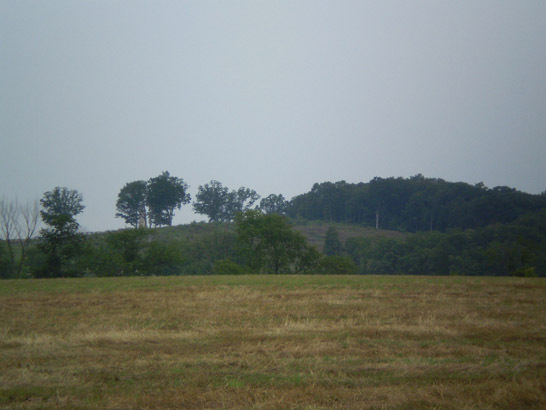 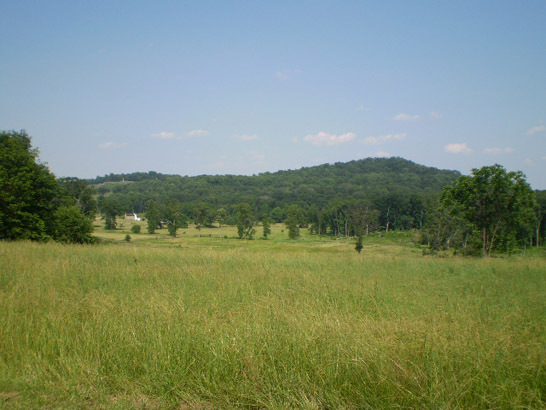 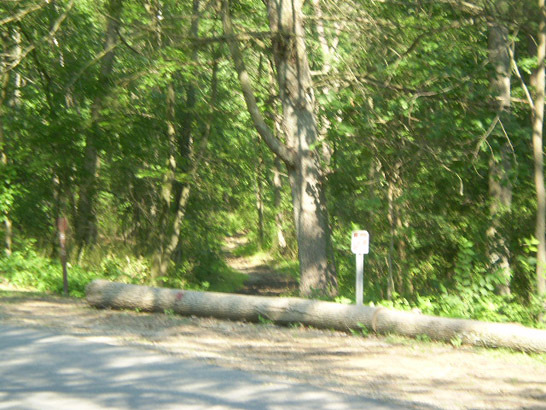 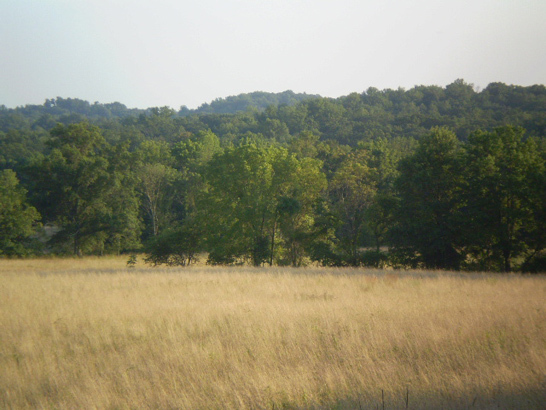 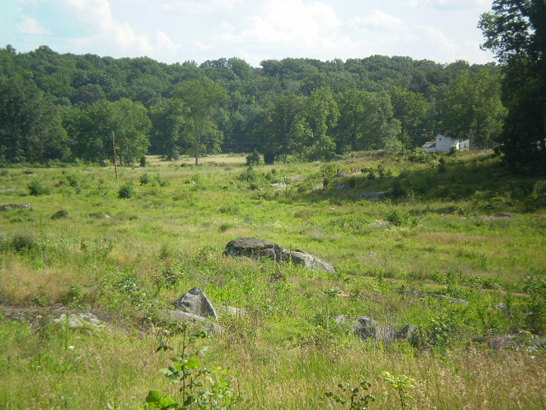 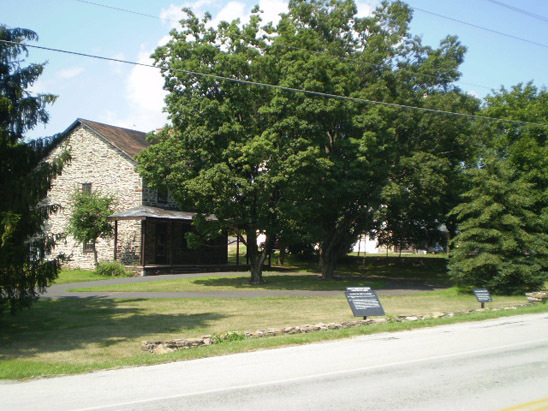 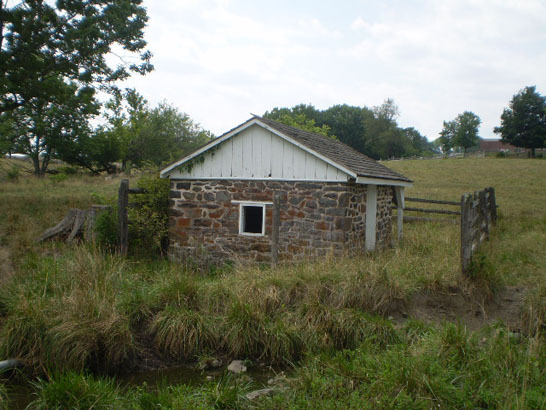 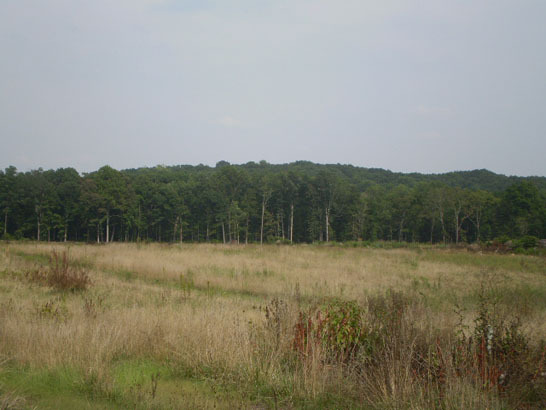 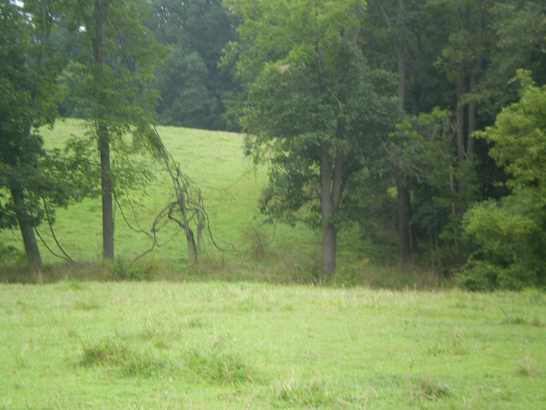 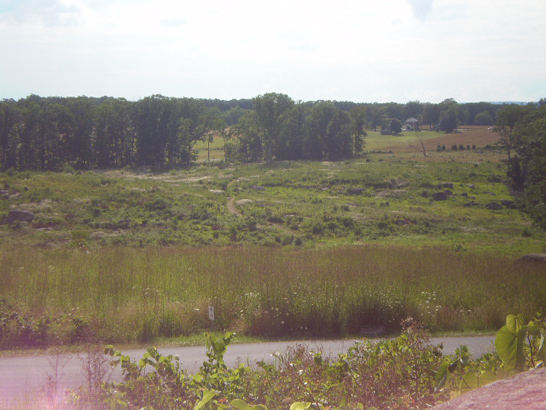 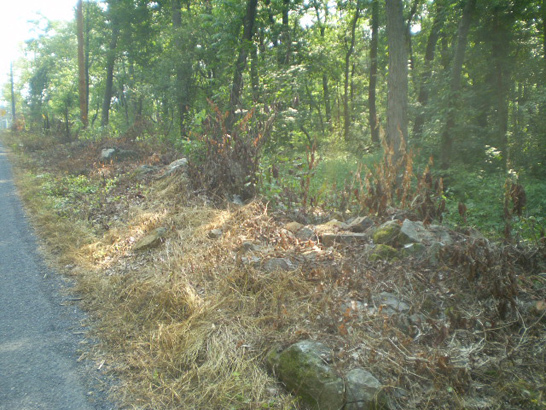 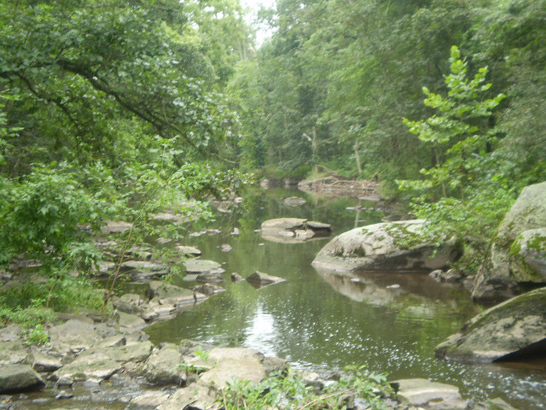 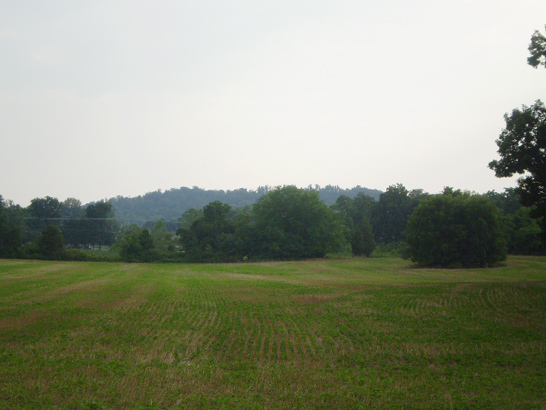 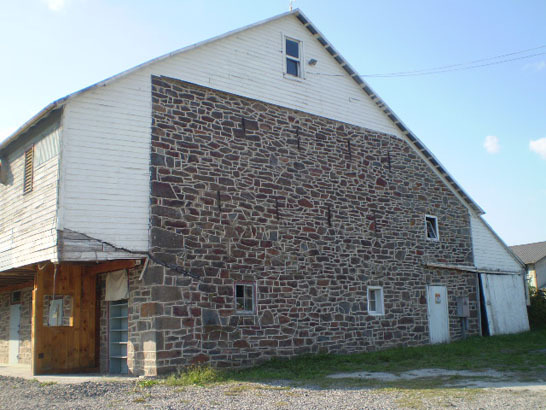 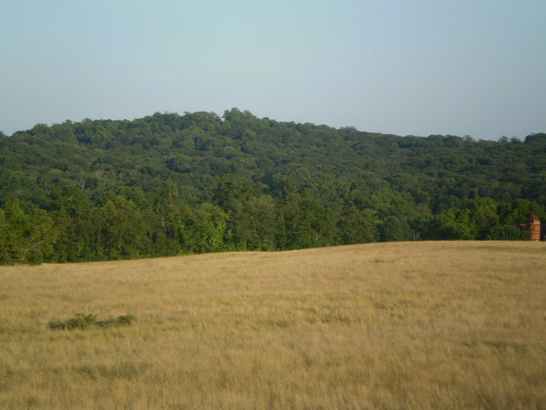 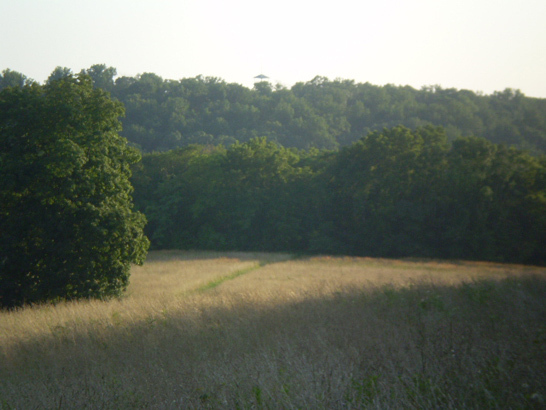 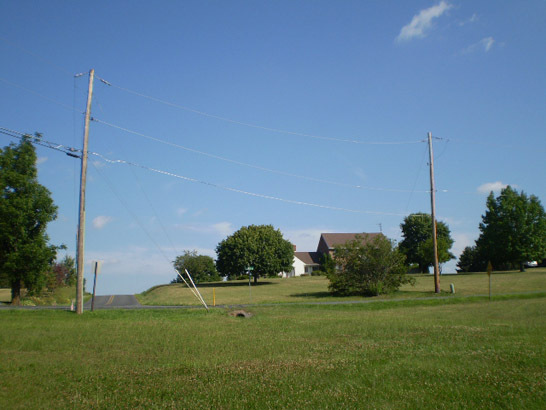 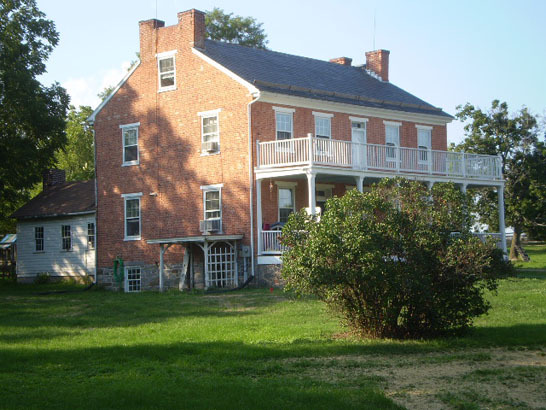 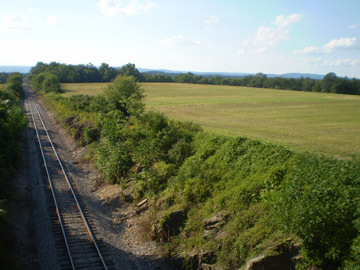 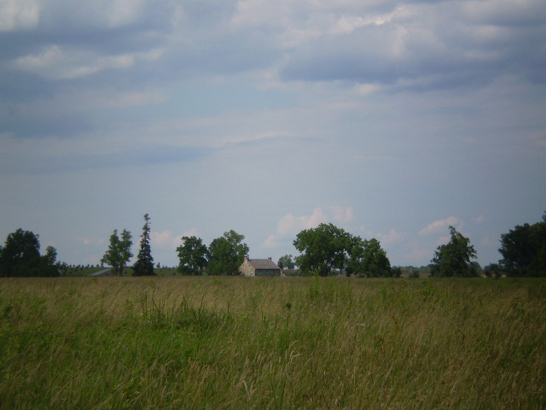 I had been to Powers’ Hill in 2008 and did some extensive exploring with several friends, and returned there during a Battle Walk done by Park Ranger Troy Harman in August of 2010 about Powers’ Hill, McAllister’s Hill, and Granite School House Lane. 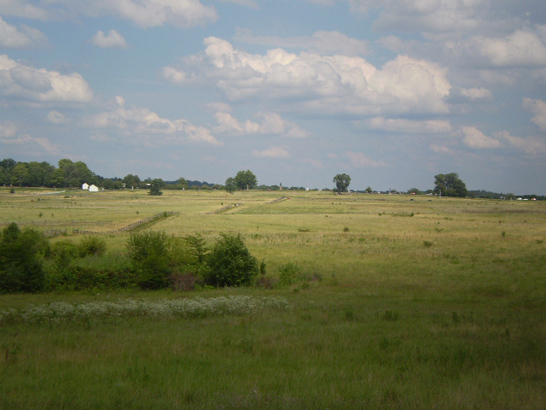 The successful attack by General John B. Gordon’s Brigade (the 13th Georgia Infantry Regiment, the 26th Georgia Infantry Regiment, the 31st Georgia Infantry Regiment, the 38th Georgia Infantry Regiment, the 60th Georgia Infantry Regiment, and the 61st Georgia Infantry Regiment) of General Jubal A. Early’s Division of General Richard S. Ewell’s II Corps on Union troops positioned on Barlow’s Knoll (known locally as Blocher’s Knoll at the time of the battle) on the far right flank of the Union line was one of the key turning points which caused the troops of the Union XI Corps north of town on the “Gettysburg plain” to finally break late in the afternoon of July 1 and retreat back through town to Cemetery Hill. 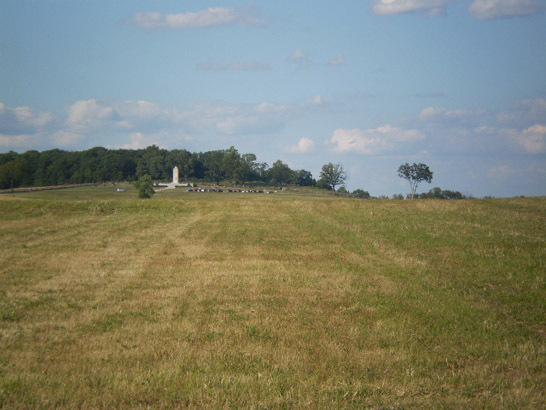 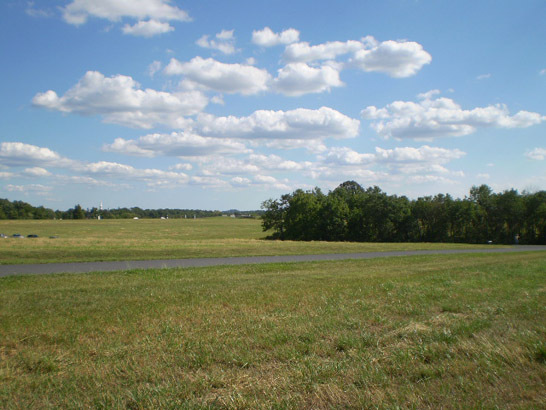 I have walked across the fields of Pickett’s Charge on my own, but always attempt to go on the various Battle Walks that focus on different aspects or specific brigades involved in that historic attack. 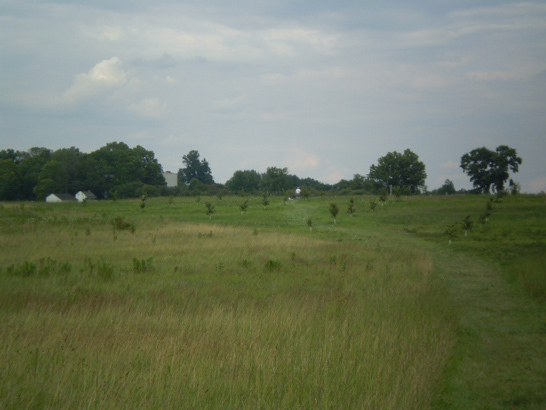 One such Battle Walk in 2009 was done by Park Ranger Matt Atkinson that focused on General Lewis A. Armistead’s Brigade which was comprised of the 9thVirginia Infantry Regiment, the 14thVirginia Infantry Regiment, the 38thVirginia Infantry Regiment, the 53rd Virginia Infantry Regiment, and the 57th Virginia Infantry Regiment. 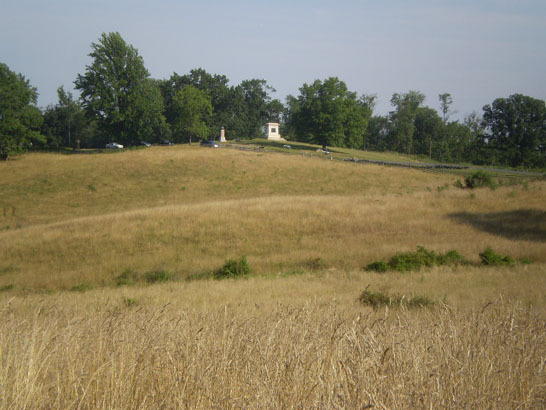 Starting at the Virginia Monument on Seminary Ridge, we slowly walked across the undulating fields and the many swales (I counted four swales before reaching the fences along the Emmitsburg Road, and one small swale east of the Emmitsburg Road roughly 100 yards from the stone walls at “The Angle”) where General Armistead’s troops were out of view of most of the Union troops and artillery on Cemetery Ridge. 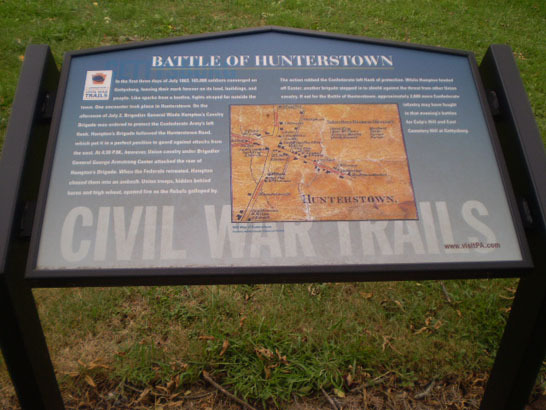 I stopped several times to observe how the Confederate troops were visible and under fire almost the entire time by Lieutenant Benjamin F. Rittenhouse’s 5th U.S. 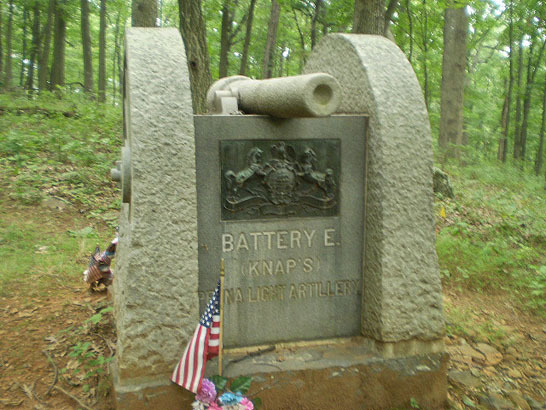 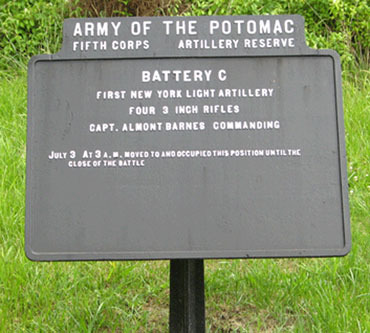 Artillery, Battery D, on Little Round Top (Rittenhouse had taken command after Lieutenant Charles E. Hazlett was killed on the afternoon of July 2), along with observing the location of Colonel Freeman McGilvery’s line of batteries from the Union Artillery Reserve on the southern portion of Cemetery Ridge which also poured deadly enfilade fire on the approaching brigade. 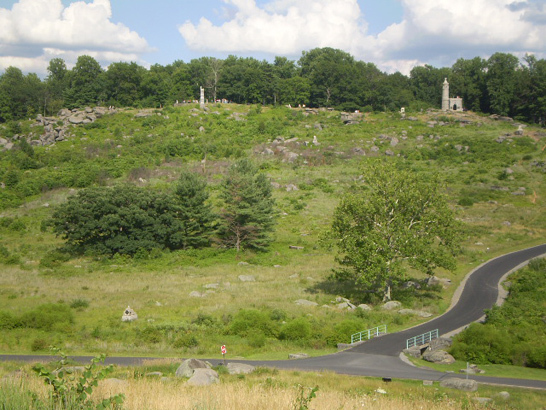 With much of the public’s interest and attention of General James Longstreet’s late afternoon attack on July 2 often focused on the assault on Little Round Top by troops of General Evander M. Law’s Brigade of General John B. Hood’s Division, I took advantage of the opportunity to learn more about the role played that day by another brigade of that division, General Jerome B. Robertson’s Brigade, known as the “Texas Brigade” (the 1st Texas Infantry Regiment, the 4th Texas Infantry Regiment, the 5th Texas Infantry Regiment, and the 3rd Arkansas Infantry Regiment) in their attack and capturing of Devil’s Den. 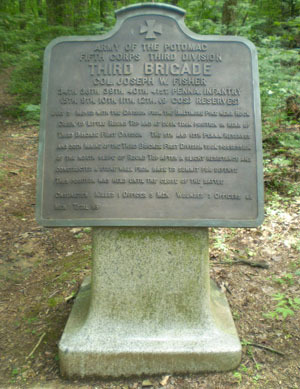 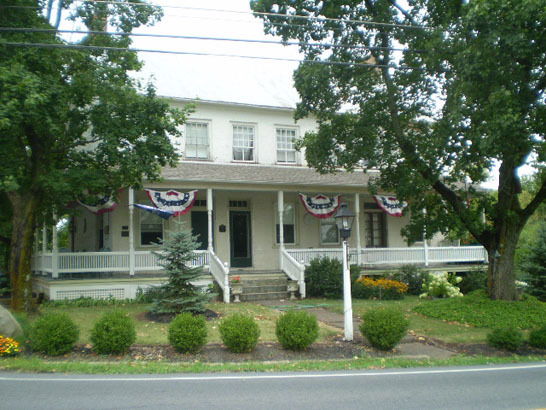 Beginning in 1996, the Pennsylvania Cable Network has been filming many of the "Battle Walks", and also telecasts the special "Battle Walks" that only take place each year on the anniversary of the 3-day battle. 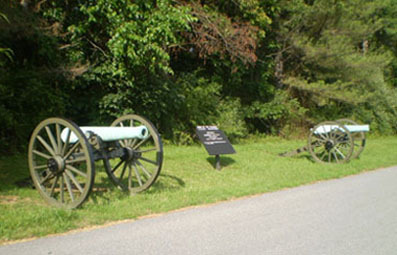 Copies of many of the "Battle Walks" can be ordered online by going to the webpage located at http://www.pcnstore.com. 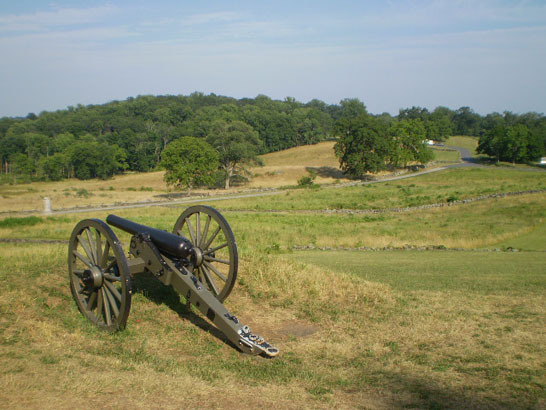 For information on all the basic Park Ranger programs as well as the "Battle Walks" schedule (which normally runs from mid-June through mid-September), go to the webpage at http://www.nps.gov/gett/planyourvisit/index.htm.